Spokane housing prices increased nearly 12% in 2018. While Seattle and San Francisco markets are expected to "significantly soften," according to Windermere's economist, Spokane is expected to "outperform" -- which means higher prices and -- so far in 2019 -- fewer houses on the market. It's a great time to sell -- and a few years from now, will you be wishing you bought now? Moving is hard. Let me be your no-nonsense, no-drama Realtor! I'll help do the heavy lifting whether you are buying or selling. Call or email me today to set up a time to meet! 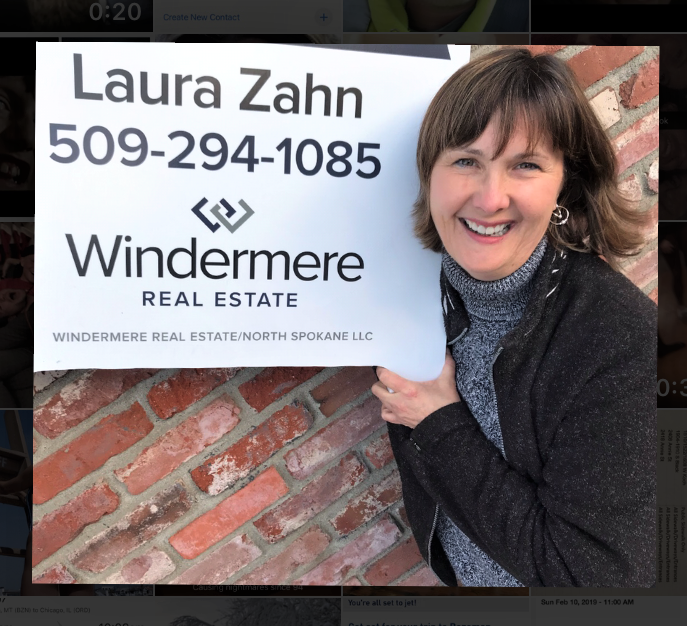 509-294-1085 or email LauraZahn@Windermere.com -- I can't wait to talk to you about your move! Meanwhile - check out helpful links and info about Spokane below, just scroll down! Dry, mild and sunny climate! Visitor (or prospective resident!) information – and of course great visuals! Relocation Guide in PDF form from Greater Spokane, Inc.
Let me count the reasons! The bedrock: great businesses/schools/colleges/hospitals/arts/libraries/parks - BUT WAIT, THERE'S MORE! * Spokane River * Dry, sunny, mild! * Riverside State Park 14,000 acres - 2nd largest of 87 WA parks * few mosquitoes, none in the summer! * Good jobs * Farmer's Markets til end of October * Pick your own apples, blueberries, strawberries, raspberries, peaches and cherries * Festivals and runs - Bloomsday, Hoop Fest, Cherry Pit Spit and more * Great neighborhoods * Fabulous restaurants * Centennial Trail runs along the river 40 miles from Nine Mile into Idaho * Free muni pool passes * Friendly people * Plenty o' Parks * Scoop and Brain Freeze local ice cream! * Wineries downtown and around town * Craft breweries downtown and around town * Big box stores and wonderful local retailers for all your shopping needs * Stand Up Paddleboard rentals downtown * Looff Carousel, Ice Ribbon, Red Flyer wagon and Garbage Goat within 2 blocks along the river * Symphony * Performing arts * Comedy * Museums * Philanthropic and volunteering community like no other * Great independent bookstore in Auntie's * The Spokesman Review newspaper is alive and vital * 76 lakes within 1 hour drive * 5 ski resorts within 2 hours of downtown * Mt. Spokane State Park, elev. 5883 ft., is HERE! * The Parkade!